Trellis can help you optimize your content architecture so that your customers and prospects can easily get to where they need to on your site with a pleasant experience. We can help you identify the optimal sitemap for now and future website growth. Utilizing the appropriate keywords is critical for SEO and an optimal user experience. Optimizing your categories and taxonomies for users will increase conversions. 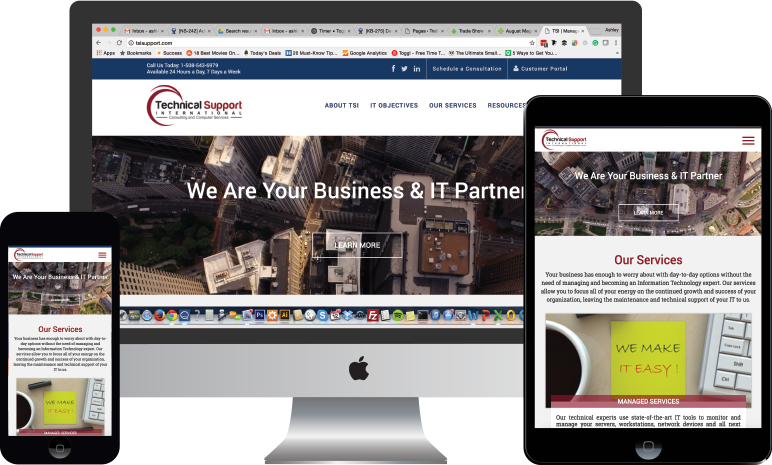 We helped Technical Support International develop a new Wordpress website and improve their content architecture in the process. Now it is easier to find what you want and get to information you need like valuable blog posts. Need help with content architecture?